2020ave.com is a great new site for trendy women's clothing. Launched around November 2011, 2020AVE's goal is to create an awesome online shopping experience for customers while providing a variety of quality boutique style clothing at amazing prices. And they do just that! We both got the chance to review 2 items from the site. 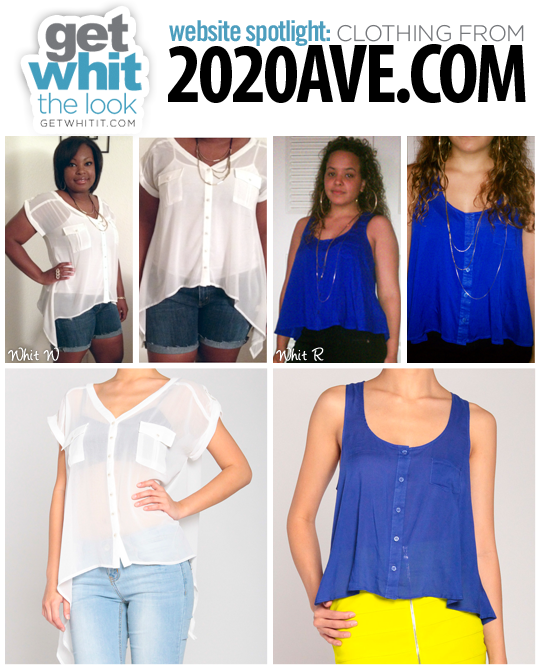 Check out what we had to say about the 2 cute tops, and we encourage you to check out 2020ave.com and find a few of your own great items. I received this Double V Tailing Hips Sheer Blouse, very affordable at $22.99. I chose it because I loved the sheer texture and side tails. It is a great lightweight top for the summer heat. It was an easy top to wear - you can pretty much throw it on and not have to worry about adding too many accessories. I wore mine with some denim shorts and tan wedges. I accessorized with gold jewelry: a cool beaded statement necklace I got a while back, a few bracelets and a multi-finger ring. I kept the look mostly neutral this time, but I could see some color being added with denim skinny jeans in a fun color. I think it's important to be fashionable yet affordable. Unfortunately, we aren't all able to spend hundreds on bags and shoes. 2020AVE has a lot of trendy items for Less! 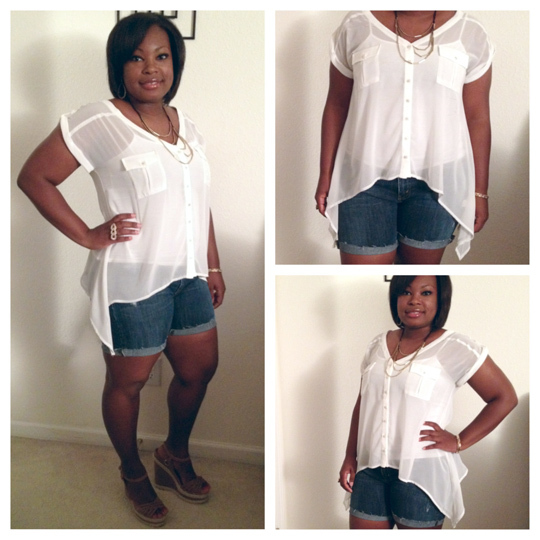 I got the chance to try out the Button Up Cropped Tank in Blue ($9.99). At first I was attracted to the color. The cobalt blue is hot and eye catching! I also love the high low feature of the shirt. 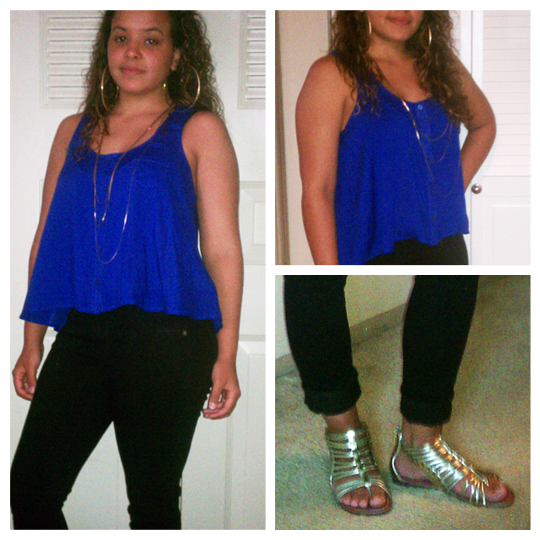 I paired my top with skinny jeans and sandals and added some gold accessories. You could easily take the look and turn it into a night style by adding heels or pairing the top with a skirt. It's a high quality top for a great price.